Following discussions with the French Republic and our neighbors in Burundi, and in partnership with the former, we wish to present an amended resolution on the conflict between the Hutus and Tutsis of the African Great Lakes, and urge the United Nations to endorse the mediation process before the situation escalates into even worse violence. Calls upon Burundi and Rwanda to enter the mediation process proposed as soon as possible. The French Fifth Republic co-sponsors this resolution. We hope that in so doing, the conditions to make lasting peace and security for all in the region possible can be laid down. The Republic of Indonesia welcomes the resolution, and votes in favour. The Iraqi Republic votes in favour, and supports African efforts to mediate African disputes. Change must come from within if it is to be lasting. The United States votes yes. 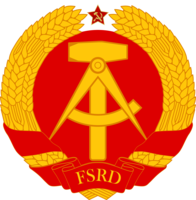 The Soviet Union sees the proposed resolution as a just and righteous one, thus we vote in favour of it.